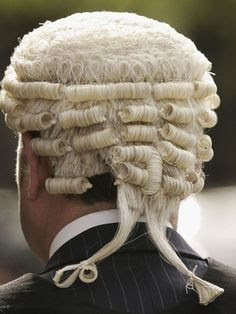 Britain is set the end centuries old tradition of Lawyers and Judges wearing wigs in the courtroom, the head of the country's judiciary has announced today. The country is set to announce a new dress code of just one gown instead of the variety is currently required. The Lord Chief Justice, Lord Phillips of Worth Matravers said the new dress code has rendered the wig unnecessary. He said: "At present High Court judges have no less than five different sets of working dress, depending on the jurisdiction in which they are sitting and the season of the year." "After widespread consultation it has decided to simplify this." This would come as great news for the opponents of the wig who regard it as backwards and uncomfortable, while its proponents believe it gives wearers a sense of authority, anonymity and stature.